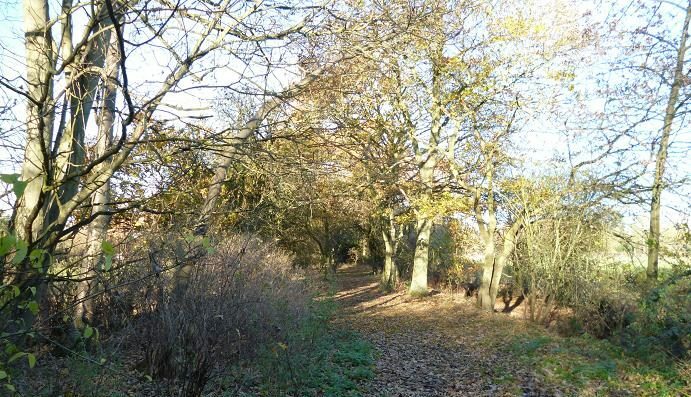 It is a while since my last visit to the equestrian centre, due to a severe lack of rabbits, good for a walk in the country air, but not good for the pot, this wooded path once yielding several rabbits at a pass. I was back again on a bright windy Autumn afternoon, following a call from the owners, to say that they had begun to see more rabbits in this area. 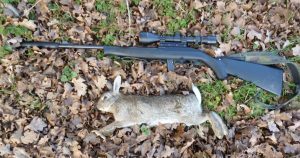 The Magtech .22 is the ideal rifle for this style of shooting, where a steady, stop and start movement will often flush out a rabbit, or two, its light weight allowing the rifle to be brought rapidly up to the eye. I heard the first rabbit before I saw it, as it trotted away through the undergrowth to my left, stepping over to the right to get a view of it. It had seen me and stopped as it considered crossing the open path to the ditch on the other side. Illuminated by the low sunshine, it offered a perfect shot, the 42 grain Winchester Subsonic flipping it over at 30 yards. As I paunched this rabbit, I saw another cross from the field into the ditch about 50 yards further up, but could not get a bead on it. They seemed to have repopulated the banks of the ditch this dry summer, it often has water in it for most of the year, the soft sandy soil ideal for burrowing, but now it was full of dead grass, ideal cover. I walked from tree to tree, scanning the ditch through the scope, seeing a large rabbit sitting at the top of the ditch looking out to the field beyond. At 40 yards, resting on the tree trunk, I aimed between the shoulders and saw it jump before toppling down the bank, disturbing an unseen rabbit in the grass below, which ran a few yards and stopped still. Sighting on the new target, the Magtech barked through the silencer, dropping the second rabbit. Two in under a minute. I walked to the end of the path, but saw no more and turned at the top, to walk along the ditch from the field side. A shape in the field moved, it was a rabbit about 80 yards away, too far for a safe shot with the .22, but I crouched low and kept it in sight. The light was already going fast, the sun having sunk below the trees and I hoped to get closer before it saw me. It moved out of the field onto the path, then to the top of the ditch, sitting bolt upright. I’d closed down another twenty yards and it was now, or never, getting down prone to shoot off my gun bag, rotating the scope to its 12 x magnification. 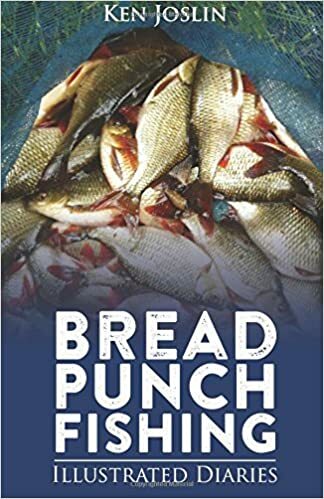 In this light, the rabbit was almost invisible and I aimed at the top of the chest, then squeezed the trigger, the rifle bouncing with the recoil, as the rabbit jumped into the ditch. Missed it! I walked down to check, using a bush as a guide. It was there, still kicking. Although it was probably only a nerve reflex, I stepped down and fired again in the back of its head. It was still. These rabbits were in a confined area of the ditch and I saw no more burrows along its length. 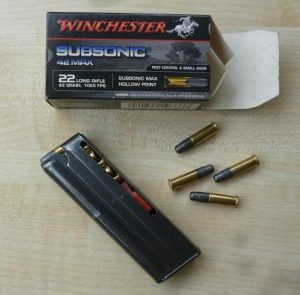 Having switched to using the new 42 grain Winchester subsonic .22 bullets, they have proved both accurate and deadly in the Magtech 7002. This is the time when rabbits are out feeding, before the cold wet winter gets a grip.